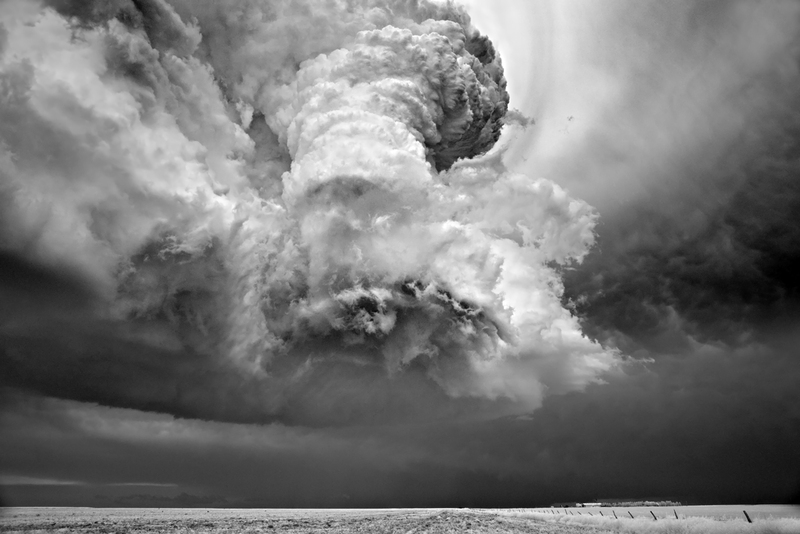 I was simple stunned when I first saw Mitch Dobrowner’s photographs of storms in Lenswork – the image above only scratches the surface of this unique body of work. It’s been interesting to follow the increase in awareness of Dobrowner’s storm photographs over the last few years which has included everything from stories in Wired magazine, National Geographic Magazine and coverage on CNN and ABC. A book of the storm photographs was published by Aperture in Sept. of 2013. Listen to Mitch describe his work and see him in action below in the video below and click on the link to hear his artists talk at the photo-eye gallery. Artist Talk by Mitch Dobrowner at photo-eye Gallery from photo-eye on Vimeo. This entry was posted in Friday Inspiration, Video and tagged Aperture, B&W, Black and White, Book, California, Canon, Clouds, Friday Inspiration, Lightening, Mitch Dobrowner, Storms, Supercell, Video, Vimeo by nixonphoto. Bookmark the permalink. Another fascinating video. I love your blog. Thank you.